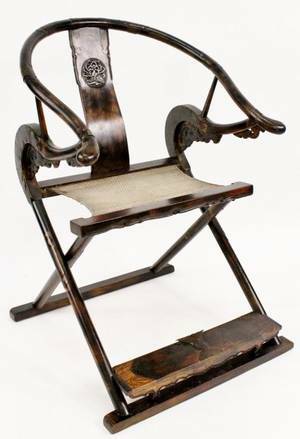 Chinese, 19th century. 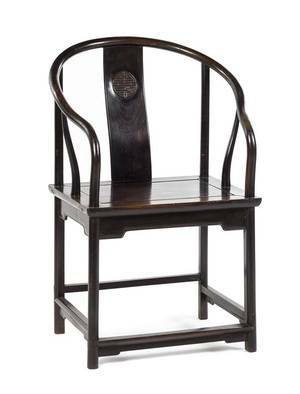 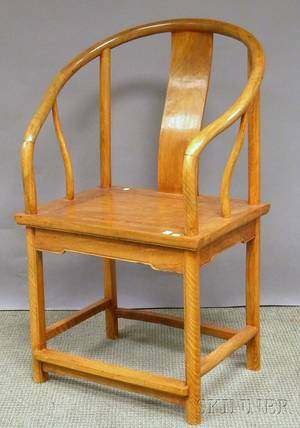 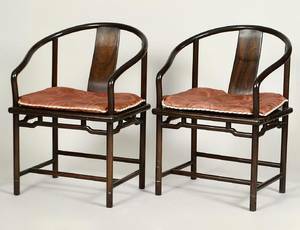 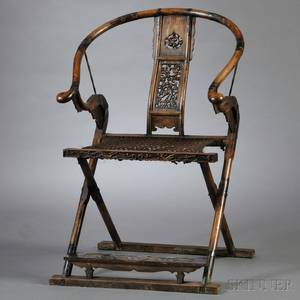 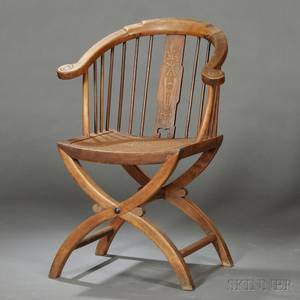 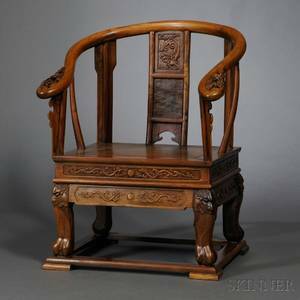 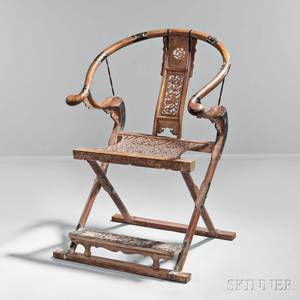 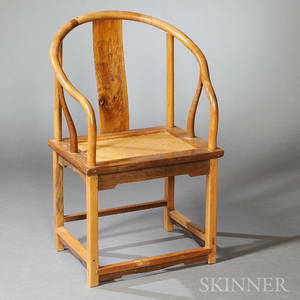 Stained hardwood horseshoe back folding armchair with carved back slat woven seat, rectangular plank form foot rest and metal accents throughout. 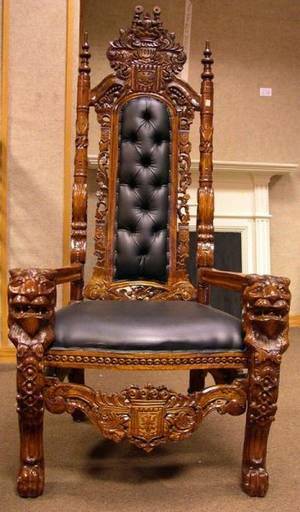 Height 42.25", width 29", depth 29.5". 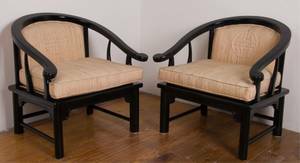 Provenance: From a Private Collection in Warner Robbins, Georgia.